BMW's E36/7 generation Z3 was the first introduced in 1995 with a 1.8 and 1.9 liter 4-cylinder engine as Bavaria's answer to a buyer who wanted a nicer version of the MX-5 Miata. It was (and still is) a good looking car, with proper proportions and available inline-6 that made decent power, but someone decided it needed a Nissan Turbo engine. 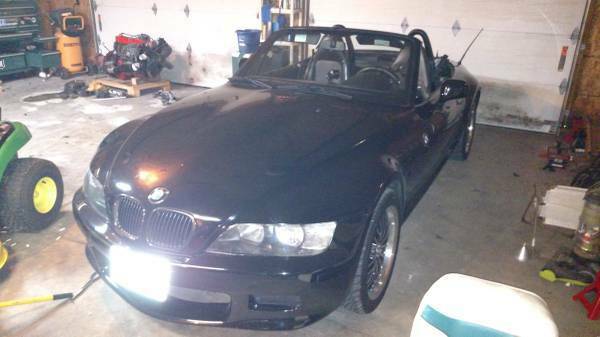 Find this 1999 BMW Z3 with Nissan CA18DET power offered for $5,500 in Chicago, IL via craigslist. 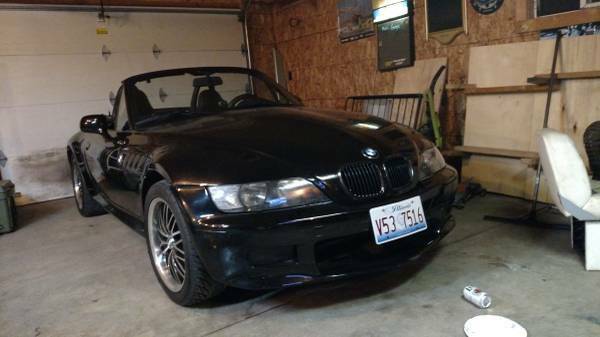 The seller picked up this thing a few months ago needing "serious help" but his plans have changed, so the "rat swap" is being offered for a low price. Power from the Nissan Sylvia CAT18DET isn't specified, but based on the parts mentioned it should be in the 250-300 horsepower range, making this thing about as fast as an M Roadster -- not bad for the asking price. S54? S52US? LS3? Hell, I bet one of these would make a good home for a 1UZ/2UZ pried from the rusting maw of a Pick-n-pull Lexus. But baby rice turbo? NFW.